Mommies, who are concerned about how to increase breast milk, need not worry, as Fenugreek can rescue you. Fenugreek has been used popularly as a spice of an herb for ages. It is known to induce labor and also assist in childbirth. 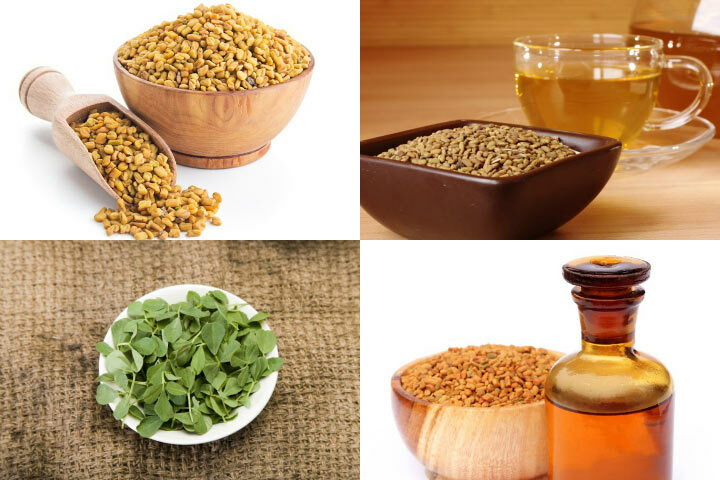 Fenugreek seeds can be a safe answer for you as well as your baby for increasing breast milk. How? Amazingly Different Ways You Can Use Fenugreek During Your Lactation Period. Mothers should have noted that they find an increase in milk production after 24-72 hours of taking fenugreek. 1. Tea: You can add around 3 teaspoons of fenugreek seeds in a cup of water and bring it to boil to make the tea. You can have this around three times a day. 2. Capsules: The seeds are available in the form of capsules as well. You need to consult your lactating doctor about the doses. You can begin with three capsules a day and then increase it slowly till your urine smells like maple syrup. 3. Sprout The Seeds: This is one of the easiest and tastiest ways to take fenugreeks. Soak the seeds in a clean glass of water and do not disturb them for around 5 days. You can see the sprouts after few days. You can add them to your salad. 4. Fenugreek Powder: Fenugreek can be taken in the form of powder. You can mix a teaspoon of it with fruit juice and take them daily. Discontinue its use if you experience muscle cramps. Fenugreek seeds induce labor, and thus it is suggested that you avoid them during pregnancy. If you notice any allergic reactions, inform it to the doctor. You may be allergic to fenugreek if you have allergies from peanuts or soy. If you begin with heavy doses of fenugreek, it might lead to diarrhea. The herb also passes through your breast milk and your baby might develop diarrhea as well. Thus, it is important that you start with the small dose and then increase the intake slowly. See if your urine, sweat and breast milk smells like maple syrup. You must inform your baby’s doctor about your fenugreek intake. Your lactating consultant may suggest you take fenugreek to augment your milk supply. Make sure you are starting with a small dose to keep away the side effects. You must follow the advice of your doctor at every step. This will free your mind from all concerns like if you are harming your baby in any way. Let us know if fenugreek helped you to augment your breast milk production in the comment section below. Next articleWhere to find Blue or Pink?